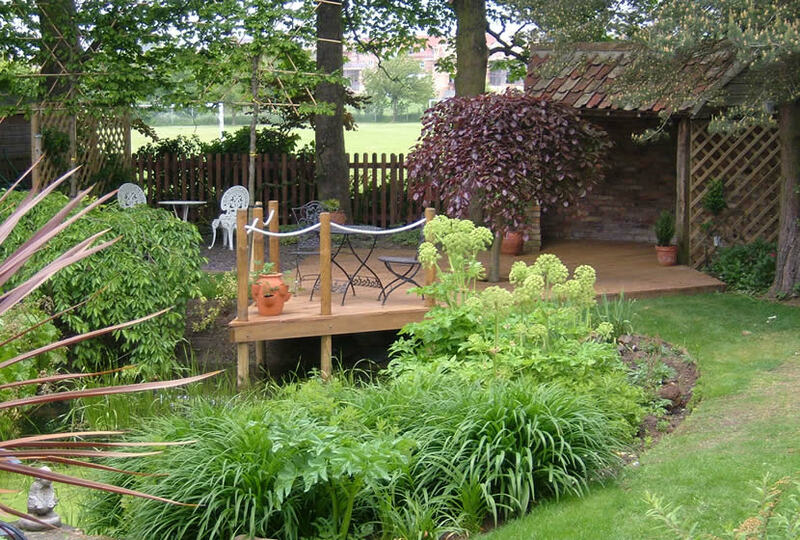 This small garden had an existing pond, but was overgrown and needed renovation. 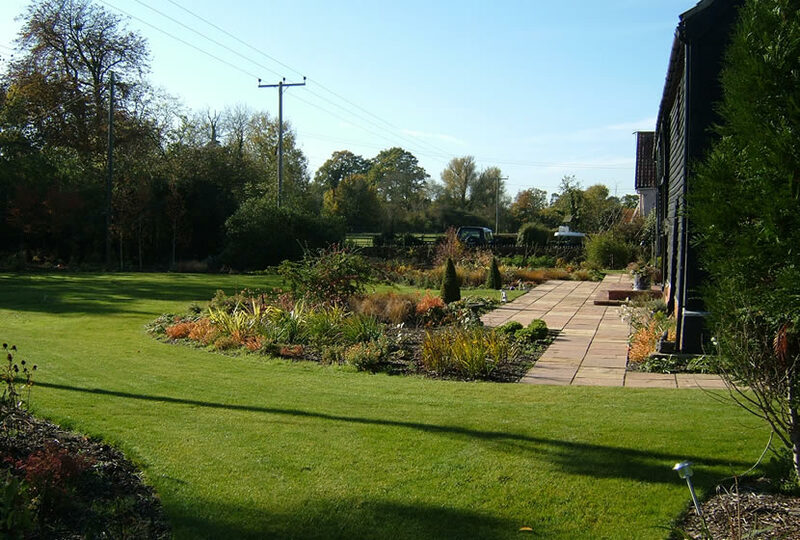 ELD created new linked front and rear gardens, making good use of otherwise unused space. The rear garden incorporated a timber jetty with rope balustrade that extended over the pond, with pleached trees providing privacy from neighboring houses and framing views into the public open space beyond. The pond was cleaned out and new fences erected to create secret walkways with new planting throughout. 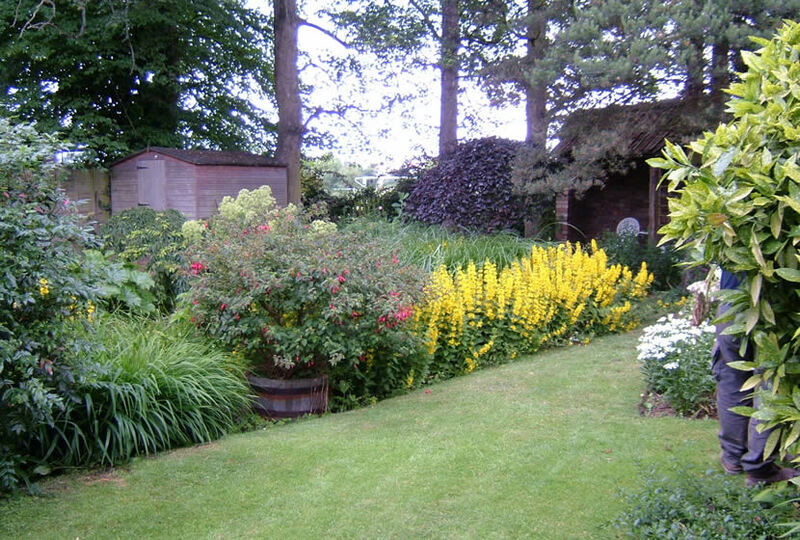 New borders bursting with seasonal interest combined with hedges enclosed an otherwise exposed location and increase the available garden space used for family recreation and entertainment.